Cinnamon is the inner bark of a tropical evergreen tree. Cinnamon comes in 'quills', strips of bark rolled one in another. The pale brown to tan bar strips are generally thin, the spongy outer bark having been scraped off. The best varieties are pale and parchment-like in appearance. Cinnamon is very similar to cassia, and in North America little distinction is given, though cassia tends to dominate the market. 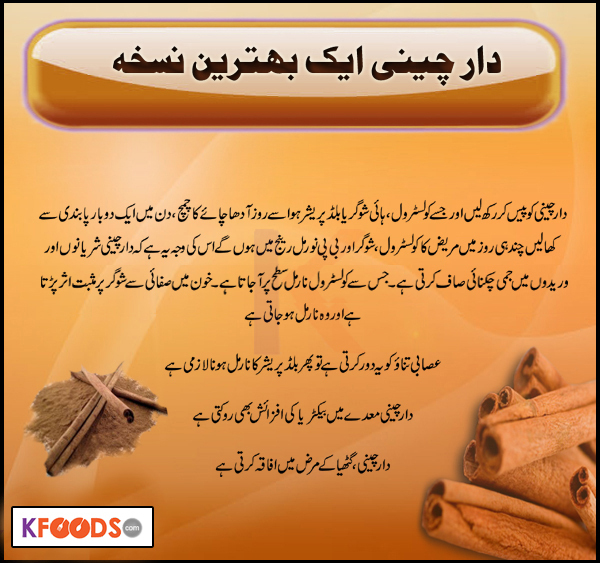 Cinnamon is also available ground, and can be distinguished from cassia by its lighter colour and much finer powder. DarChini (Cinnamon) Health Benefits !